Santa Claus isn’t quite on his way to town, but it’s never too early to start planning for the end of the year. 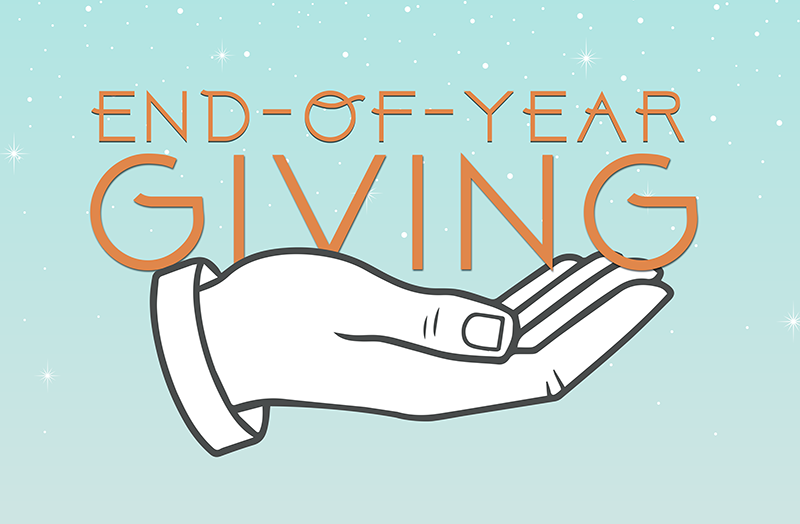 End-of-year giving campaigns are notoriously fruitful for nonprofits. In fact, nonprofits will raise 25-30% or more of their total annual campaign goal from mid-November through December 31. To ensure that your campaign reaches your target audience, start planning early for depth and width. Planning ahead broadens your communications options greatly. You will have time to assess the best route for your audience and integrate your ask across platforms. Whether you make your major appeal on paper or online depends on your audience. Where have you had success before? Do some research on your target audience and which media platforms work for them. Then supplement that primary platform with others, such as social media, digital marketing and media relations. If your campaign is solely on one platform, such as social media, your ask will only be distributed to social media users. You will have missed out on an entire segment that prefers to give by mail, or doesn’t have social media at all. If you can, segment your audience based on their involvement with you. When addressing a very valuable donor, your email/letter should be geared toward the tremendous impact that person could have on your cause. But when trying to engage someone who, say, just signed up for an online newsletter but hasn’t given anything yet, your text may focus more on the importance of making a contribution, no matter how small. Switch these messages and you’ll end up with big donors giving small and small donors giving nothing. Your end-of-year appeal should be viewed as a letter to a friend, not an impersonal sales pitch. Start by writing for their benefit, not yours. Engage your audience by knowing what may interest them, how they best feel involved, instead of just telling them what you need. Beware also of sounding too formal. Because you’re at risk of being read like an impersonal organization, use contractions and informal language to create an emotional bond with your donors. Because you want the relationship between you and your donor to be two-sided, you can’t expect to get without giving. (It is the holidays, mind you). This gift could be as simple as photos and stories. If your organization provides clean water to villages in Cambodia, tell the story of a mother who is able to care for her family because of generous contributions. If you fund dental care for children in need, include a picture of a child wearing the braces his family couldn’t afford without your organization’s help. Those stories are a gift for anyone who has donated in the past and will inspire them to continue to give. You can also offer your donors special content to engage them. This could be something you physically print and send them, like a booklet or calendar. There are also digital options for offering content, such as online quizzes and infographics. If you’re a Catholic organization, school or parish, keep reading for a customizable digital gift you could give your donors and raise funds at the same time. A digital Advent calendar is a great way to tie in your mission, the Advent season and end-of-year donations. This calendar will be placed on your website, so it can be shared and enjoyed by current supporters and donors, as well as the general public. Just like a traditional Advent calendar, each day visitors “unlock” a new box containing customized content. This tool supports your year-end donation ask because a website visitor who comes to view each day’s new content is presented with a donation button. You can even acquire a sponsor to pay for advertising space on the page, covering the cost of the calendar and making it a free communications tool. The calendar is fun for your friends and fruitful for you. No technical know-how is required; the digital side is done for you. If you are interested in learning more about ordering a Digital Advent calendar for your website, call us at 410-740-5009 or fill out this form.